Expect this season to be filled with new beginnings, excitement and enthusiasm that stem from the tremendous amounts of success that the Dragon Band has always experienced in the past! The upcoming season steps off with our new Director of Bands Mr. Chris Harper. The Dragon Band will be under the field direction of Drum Major Ashlyn Brawley and Assistant Drum Major Andrew Casey. Congratulations to our new Leadership for the season: Skylar Groves (Band Captain), Tyler Dobson (Chaplain), Jenna McCollum (Historian) and our Quartermasters Dylon Pledger, Johnathan Scott and Brittanny Crane. Meet our 2014-2015 Color Guard: Captain Brooklyn Dillon and Weapons Leader Breeanna Forsyth spinning with Shelby Cordle, Montana Garrett, Taylor Grant, Jayda Liggons, Jaida Lovelace, Macie Minter, Jana Payne, Emily Sarge, Emily Shiflett, Alexis Smith, and Kameron Smith. All returning members should also sign out the instrument that they used last season and take it home. 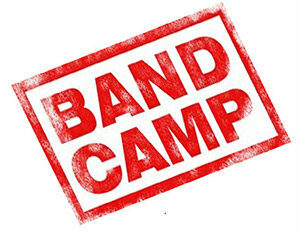 New members will be assisted by the band staff on getting an instrument to play for the season (mellophone, baritone, tuba) on the day of the reading session. With everyone coming by to pick up music and instruments, band camp music rehearsals will run more efficiently.